India is among the leading global producers of cost-effective generic medicines and vaccines, supplying 20 percent of the total global demand by volume. The country has an established domestic pharmaceutical industry, with a strong network of 3000 drug companies and about 10,500 manufacturing units. Out of these, 1,400 units are World Health Organization (WHO) good manufacturing practice (GMP) approved; 1,105 have Europe’s certificate of suitability (CEPs); more than 950 match therapeutic goods administration (TGA) guidelines; and 584 sites are approved by the US Food and Drug Administration (USFDA). The pharmaceutical industry in India produces a range of bulk drugs, which are the key acting ingredients with medicinal properties that form the basic raw materials for formulations. Bulk drugs account for roughly one-fifth of the industry output while formulations account for the rest. India also has the expertise for active pharmaceutical ingredients (APIs) and sees significant opportunities for value-creation. At present, Indian companies supply over 80 percent of the anti-retro-viral drugs used globally to combat AIDS (Acquired Immuno Deficiency Syndrome). Six domestic firms – Aurobindo, Cipla, Desano, Emcure, Hetero Labs, and Laurus Labs have a sub license with the UN-backed Medicines Patent Pool to manufacture anti-AIDS medicine TenofovirAlafenamide (TAF) for 112 developing countries. India’s generic drug producers hold a strong position in the global supply chain and play an integral role in developing the pharmaceutical industry. Some of the major domestic players in the industry include Sun Pharmaceutical Industries, Cipla, Lupin, Dr. Reddy’s Laboratories, Aurobindo Pharma, Zydus Cadila, Piramal Enterprises, Glenmark Pharmaceuticals, and Torrent Pharmaceuticals. Andhra Pradesh, Gujarat, Maharashtra, and Goa are the major pharmaceutical manufacturing clusters in the country. The bulk drug clusters are located primarily in Ahmedabad, Vadodara, Mumbai, Aurangabad, Pune, Hyderabad, Chennai, Mysore, Bangalore, and Visakhapatnam (Vizag). India’s current foreign direct investment (FDI) policy allows 100 per cent FDI under automatic route in green field pharmaceutical projects and up to 100 per cent FDI under government approval in brownfield projects. Under the green field category, companies establish their subsidiary and start their own production by constructing new plants or facilities from the ground up. Whereas, under brownfield investment, companies buy or lease existing facilities to begin a new production activity. Reckoned as a high quality generic manufacturer across the globe, India exports half of its total production of pharmaceuticals to more than 200 countries in the world. In 2017-18, India exported pharma products worth US$ 17.27 billion. By 2020, the industry estimates the exports to grow by 30 per cent to reach US$ 20 billion. The US is the most lucrative generics market for India’s pharma industry. It is valued at around $60 billion and accounts for about 25 percent of India’s total shipment. In 2017-18, India exported about US$3.21 billion worth of generic drugs to the US, despite the tough regulatory environment in the country. With branded drugs going off patent during 2017-19, research agencies estimate the export of generic drugs to the US to rise by about US$55 billion. India’s other important export destination include the United Kingdom (US$383.3 million), South Africa (US$ 367.35 million), Russia (US$ 283.33 million) and Nigeria (US$ 255.89 million). The rising costs and regulatory pressure in developed markets are forcing many global pharmaceutical companies to reduce their internal capacities in research and development (R&D), and manufacturing, and turn to contract manufacturing and research services (CRAMS), and outsourcing of research and clinical trials to developing countries. These strategies help multinational companies reduce costs, increase development capacity, and focus on their core profit makings activities, such as drug discoveries and marketing, rather than on manufacturing. 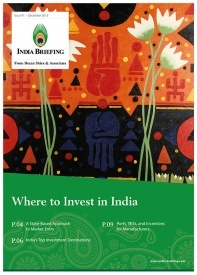 India, with a large patient population and genetic pool, is fast emerging as a preferred destination for such multinationals seeking efficiencies of cost and time. The country’s CRAM industry offers a significant cost-quality proposition, with potential savings of about 30-40 percent compared to western markets such as the US and Europe. Since the amendment to Patents Act in 2005, many Indian pharmaceutical companies have gradually moved away from generic production to the development of new drugs, exports to regulated markets and cooperative agreements with global pharma companies. A US$33 billion opportunity, the pharmaceutical industry in India presents considerable potential for collaborative and outsourced R&D in drug development, biotechnology, chemicals, and manufacturing of medicinal products. India’s CRAM sector is globally recognized for its high-end research services and is one of the fastest growing segments of the country’s pharmaceutical industry. The country has a low cost of production, low R&D costs, innovative scientific man power, and a large number of national laboratories that have the potential to steer the industry ahead to a higher level. Besides, India is the only country in the world that has the highest number of USFDA-approved plants for generic drug manufacturing outside the US. Some of the leading Indian pharma companies derive about 50 per cent of their turnover from exporting generic medicines to developed markets like the US and Europe. The arbitrary and unpredictable nature of India’s regulatory interventions, including restrictions on pricing and licensing are among the several challenges that global drug companies face in securing easy market access to India. The government’s ban on fixed-dose combination drugs and demonetization of high-value currency notes in 2016 affected 6000 brands produced by 100 plus drug manufacturing companies. 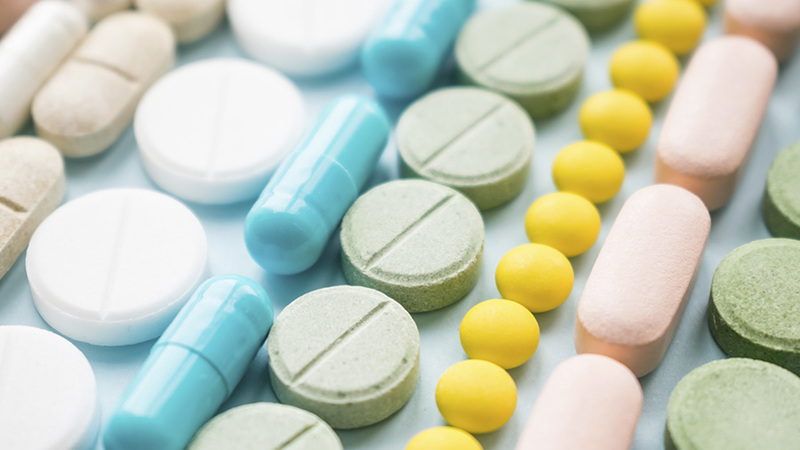 The regulations concerning price control of drugs, or making prescriptions of medicines by their generic name instead of brand names mandatory, too, remain key threats for the industry. Other concerns include interpretations of intellectual property protection that favor generics and biosimilars, impact of the goods and services tax (GST) on sourcing, manufacturing, and distribution channels, as well as policies and practices that support local manufacturers. 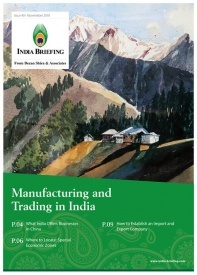 Considering these challenges, it is essential for foreign companies to pay more attention to market-access capabilities as a means to capture the growth opportunities that India offers – especially for the introduction of innovative drugs.